Share with your family and friends or save it all for yourself! I will be eating mine tonight and tomorrow for sure after my workouts and I will be sharing with a friend too! 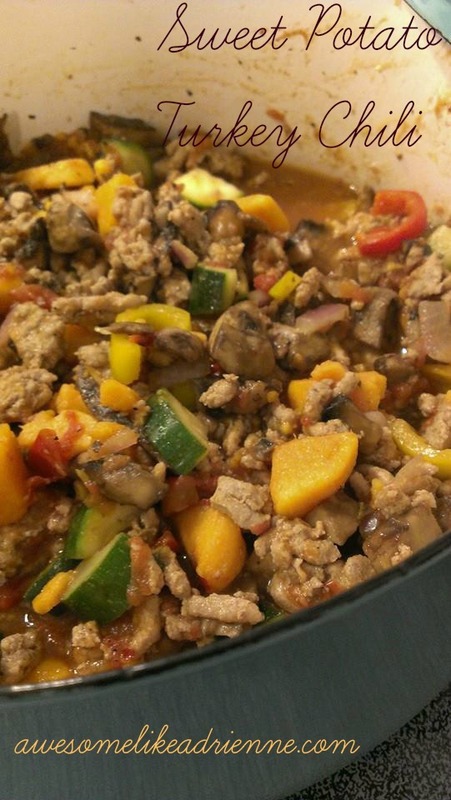 Posted on January 5, 2015 July 7, 2015 by awesomelikeadriennePosted in EatTagged chili, dinner, meal plan, recipes, sweet potatoes, turkey chili.